What? Me, Marc Hershon, your host and toaster pastry? Back within a week with another installment of Succotash, the Comedy Podcast Podcast? Yes, it’s true. This is Succotash Clips, Epi 120. And we have a Thanksgiving Feast of comedy podcast clips for you. It’s a veritable spread of different flavors and — given the humor in some of them — truly a groaning board of a clip buffet in store for your ears this time around. 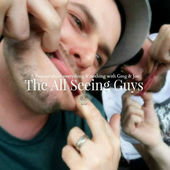 We’ve got The All-Seeing Guys, Bitter Sound, Ear Goggles, Ice & The Face, The McCue Report, Primalcast, The Reigning Lunatic, Rob & Slim, The Vince Wylde Show and Who Charted? In addition to that earload, we’ve got a visit to the Podcast Graveyard, courtesy of our associate producer Tyson Saner, who also harvested a number of the clips we’ve got on hand. We also have another double dose of our Burst O’ Durst with political comedian and social commentator Will Durst, a rummage around the ol’ Tweetsack, and a brand new Henderson’s Pants commercial. Other than our ads from Henderson’s Pants, Succotash remains fitfully sponsor-free. The good news: you aren’t burdened by listening to those pesky ads. The bad news: money to keep this show going basically comes out of my pocket. You can help out with one of several methods, all done by visiting our homesite at http://SuccotashShow.com. You can click on the Donate button and shoot us some moolah. You can click on the Amazon banner at the top of the page and buy stuff at Amazon, then they give us a slice off the top. Or you can click on the link to our Succotashery and purch some merch, a percentage of which comes back to us after they print up whatever you buy. Or you can keep on listening to this show for free and just know that, in the back of my head, I’m thinking you’re just an electronic freeloader. No guilt, no judgement, though. 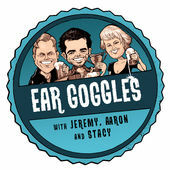 So you might remember when I announced on this show earlier this year when the 10-year-old podcast known as Sibling Rivalry celebrated its decadeness was re-branded as Ear Goggles. I ran into 2/3’s of the hosting team – Jeremy Grater and Susan Black – last September at the 4th Annual Los Angeles Podcast Festival. Host #3 – Aaron Ristrow – lives on the East Coast, as opposed to his Seattle-based compadres. 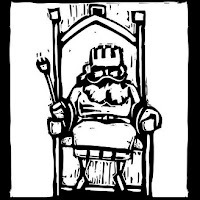 I chatted with them, which we featured during the PodFest upload frenzy, and they chatted with me for their show, which just dropped recently. Just this last week I was a call-in guest on the LIVE partycast known as The Rob & Slim Show. They’ve been retweeting our stuff the past few months and I had just had Tyson clip me off a chunk of a recent show but, I figured as long as I was going to be on their show, we may as well use THAT clip. Rob and Slim — I haven’t been able to find much else about them or the other voice that seem to float around during their ‘cast — run a 3+ hour live whoop-de-doo, in the style of a morning radio show as they put it and they cover the gamut of topics that are fresh in and around the news. Plus they drink. How can you lose? 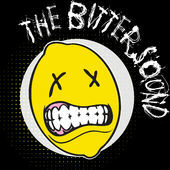 This clip comes to us from The Bitter Sound, uploaded directly to us by host Davian Dent. He and sidekick Matt Bubbles managed to get OUR booth announcer, Bill Heywatt, to call in for a visit. (I can’t get the guy to stand still in Studio P long enough to do another Boozin’ With Bill segment yet these jokers get him just like that. I even pay the guy’s salary!) Oh well. If the only way we can get Bill on the show is with him being slightly tanked and yammering on a clip from someone else’s show, so be it. Friend-of-Succotash Geoffrey Welchman, who was the former host of the now-kaput Inverse Delirium podcast, came roaring back after a time away from Podcastland with a brand new offering! 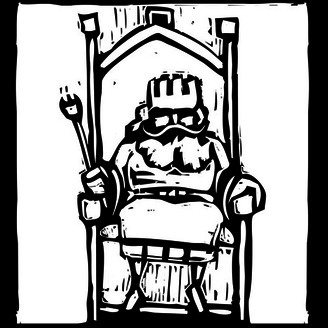 The Reigning Lunatic is a scripted situation comedy about a crazy king and his hapless servants and subjects. Geoffrey asked me to play a part in the series opener as Sir Jerry, and I, being an audio whore, was only too happy to comply. So we had several direct uploaded clips this week (through our upload link at http://hightail.com/u/Succotash) including one from someone named Rick. His cover note with the upload reads: “Hello, my name is Rick, and I had a conversation with someone on twitter today from Succotash. 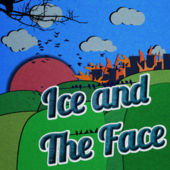 I said I would provide a five minute clip from our comedy show, Ice and The Face, for your show. This clip is from episode #75 - 10.9.15. We hope you enjoy it! If you have any questions, please feel free to contact me via email or twitter DM if you like. You're show is awesome, and we very much appreciate your interest and are looking forward to hearing back. Thank you, Rick” Cool. Thanks, Rick! I’m not sure we’ve ever featured a clip from this next show before. Not sure why. 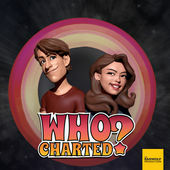 Who Charted? has been around forever and is quite beloved. They cover the hits that are charting in music and movies, with lots of comedy guests. The hosts are Howard Kremer and Kulap Vilaysack normally, but in this episode clipped by our Associate Producer Tyson Saner, Kulap is off, replaced by guest co-host Emily V. Gordon, who hosts another podcast – The Indoor Kids – with her husband, Kumail Nanjiani. Their guest is James Adomian, who’s gotten some attention lately because of his Bernie Sanders impression. Tyson harvested us a clip from a new-to-me show, The Vince Wylde Show, part of the AM Podcast Network. (Not sure what that is, but the AM comes from the network founder, Adam Mulholland.) 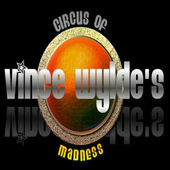 The Vince Wylde blurb on the homesite reads, “The Radio Show with Attitude, Humor, and great production. From Schizophrenic Studios on the 36th Floor of the FMI Building.” I don’t know where the FMI building is, either. In this clip, Vince and his partner on the show, a guy named Ben, sample some soft drinks from a company called Carbonated Atrocities. Bottoms up! 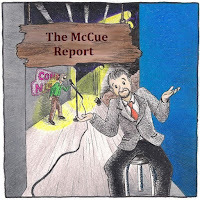 There’s a show from the Boston area that reached out to Tyson Saner directly, which is another way to go if you’re looking to be clipped on our show, called The McCue Report. 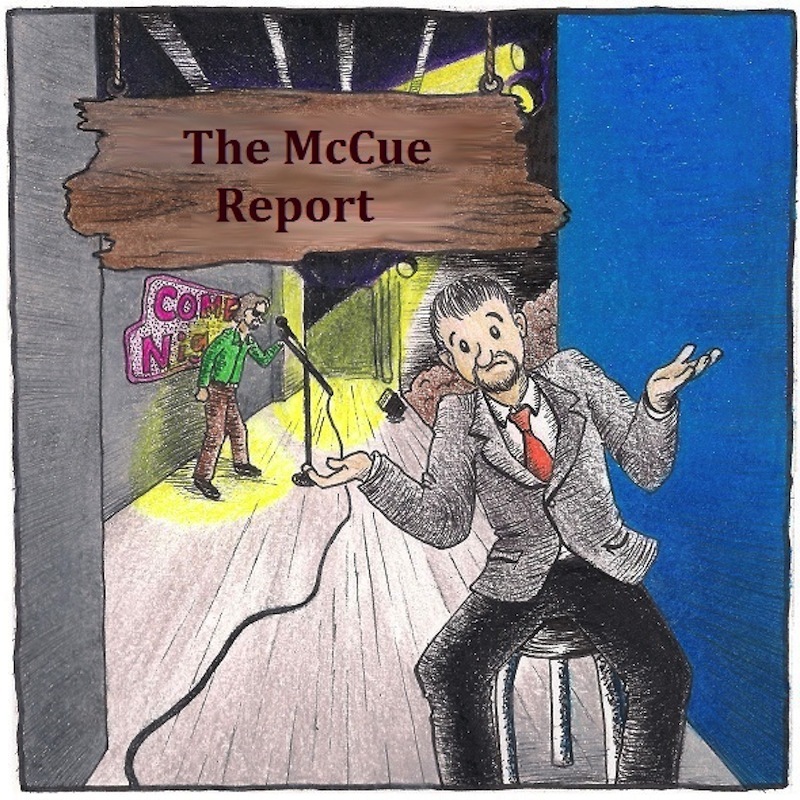 It features comedian Jim McCue interviewing interesting and entertaining people, according to their homesite. The show’s been chugging along for about a year and a half now, and is part of Boston Comedy Festival Radio. In this clip, which was furnished to Tyson via Twitter, McCue chats with his guest, standup comedian Al Park, about working on the road. Our man in Great Britain, Davian Dent, when he’s not producing his own podcasts – The Bitter Sound and Strange Times – is out looking for other fun stuff to put in his ears. This time he’s sent some of it along to us. It’s a clip from a show I’ve not caught yet, called The All-Seeing Guys, and features two blokes — are guys still called blokes in England? — named Greg and Joe. As I said, a cornucopia of podcasts for your Thanksgiving week listening pleasure. Take us with you on that long drive to the relatives' house or listen while you're digesting on the couch after stuffing your face. And for those of you NOT in the United States, have a great Thursday and Friday. Whether you're celebrating Thanksgiving or not, remember that I don’t care if you pass the turkey or the stuffing or the pumpkin pie, but I will always thank you for passing the Succotash! And that was a show-sized clip of Succotash, the Comedy Podcast Podcast, as the soundcast Succotash, the Comedy Soundcast Soundcast used to be known. I really enjoyed hearing that episode again I don't think I'd heard it since it was first uploaded and like a Thanksgiving turkey should be, that episode was absolutely what you could refer to as being well-stuffed. I don't really have anything else to add except to say thank you to Marc Hershon, Bill Heywatt, Joe Paulino, Scott Carvey, and you - the listener. Thank you for listening, Happy Thanksgiving and thank you for passing the Succotash. Succotash Clips Epi181: Hallowanksgivin' It Up!